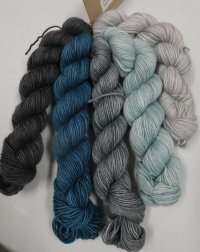 I've been stocking the solid (well, tonal really since even the solid colors have a bit of lovely variation!) 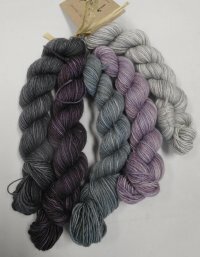 colors of this great shawl yarn for a couple of years now and have just added the new Mini Skein packs! 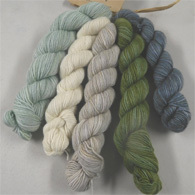 Same 50% merino/50% silk yarn, but now available in 7 different mini-skein packs! 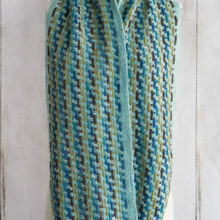 Perfect for lots of the Ravelry shawls - as well as for the Trolley Scarf shown below. 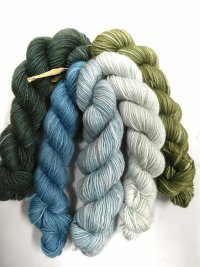 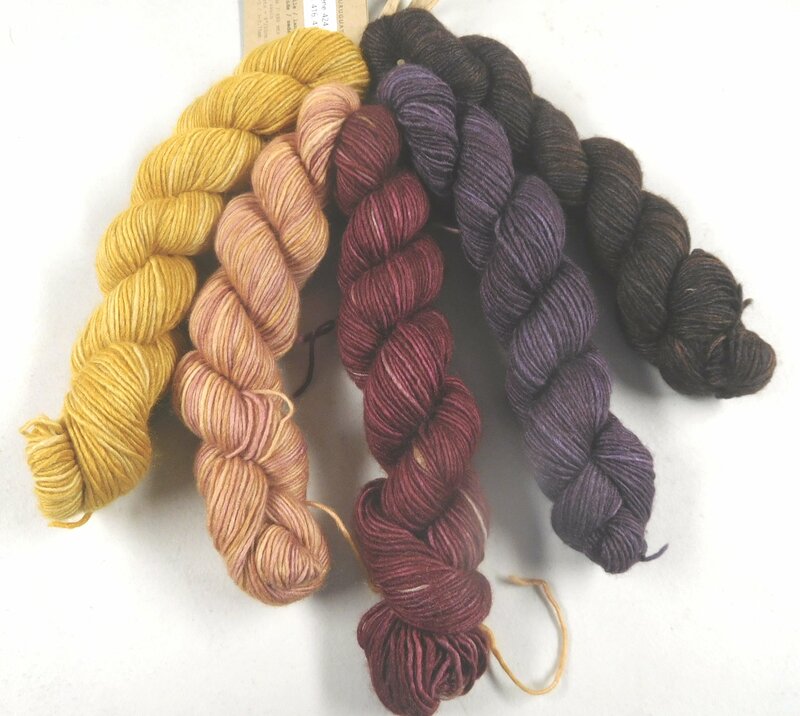 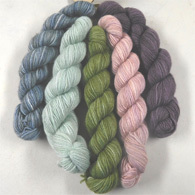 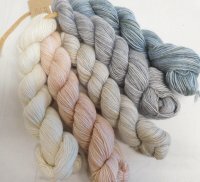 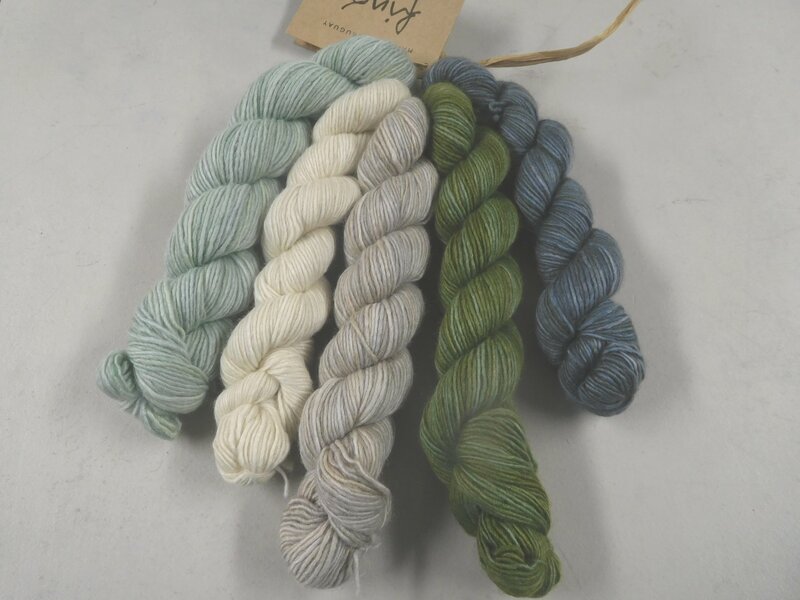 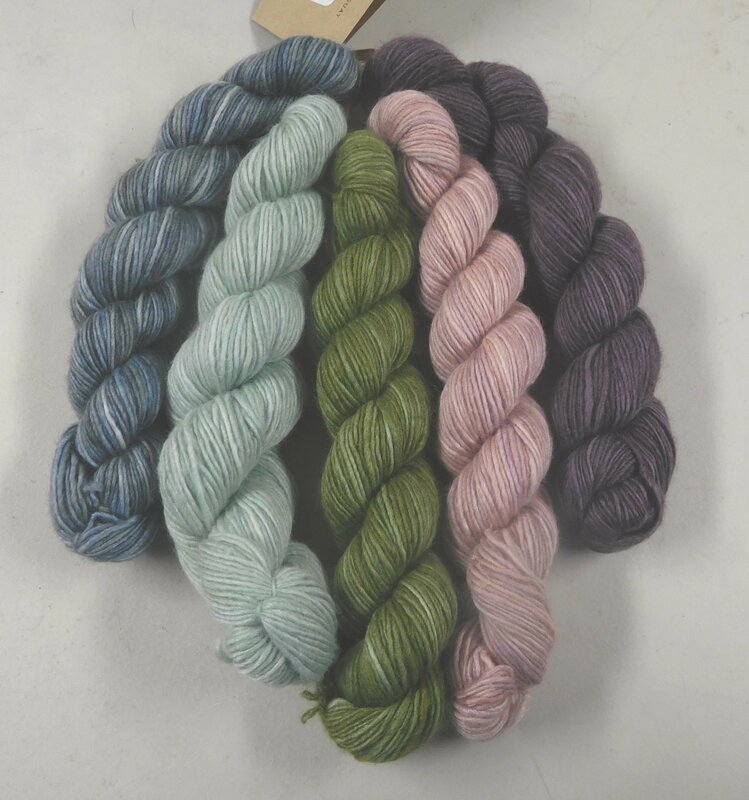 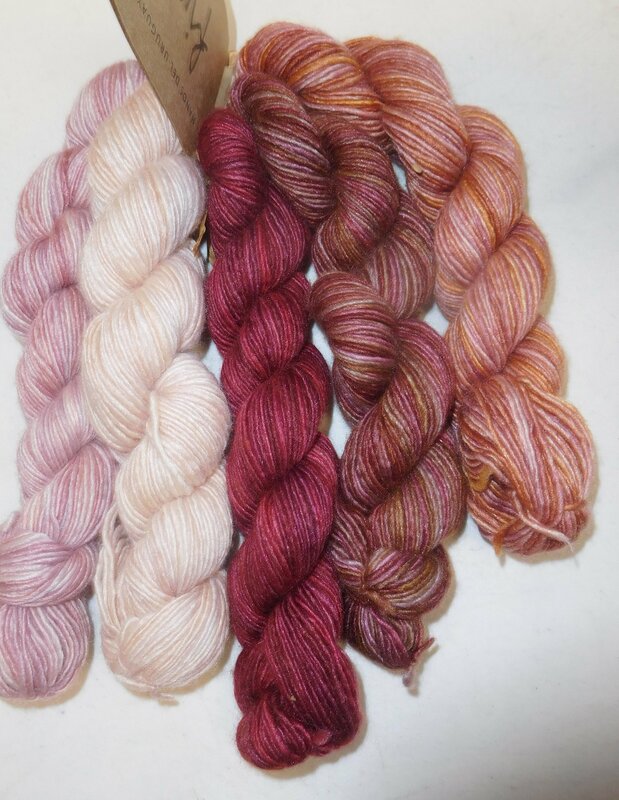 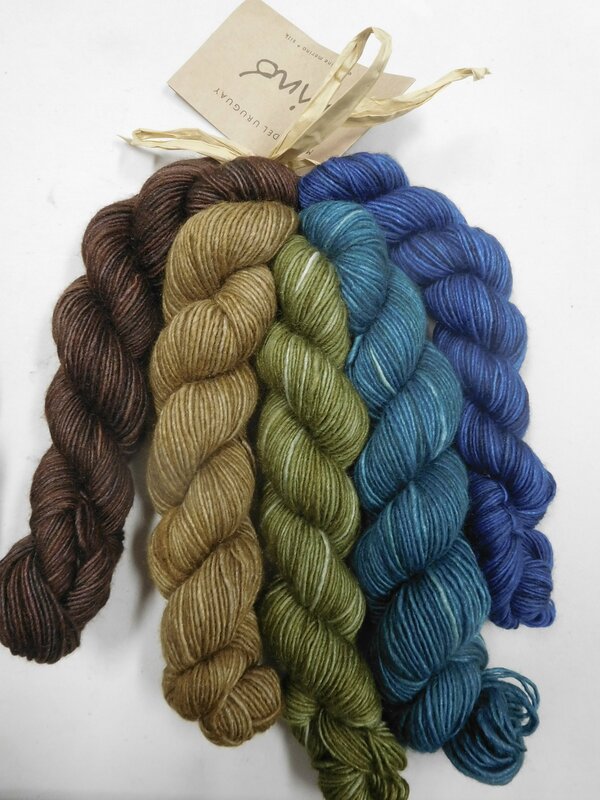 To pick a large skein of the Manos Fino to go with your mini pack, check out this page.